1969!! 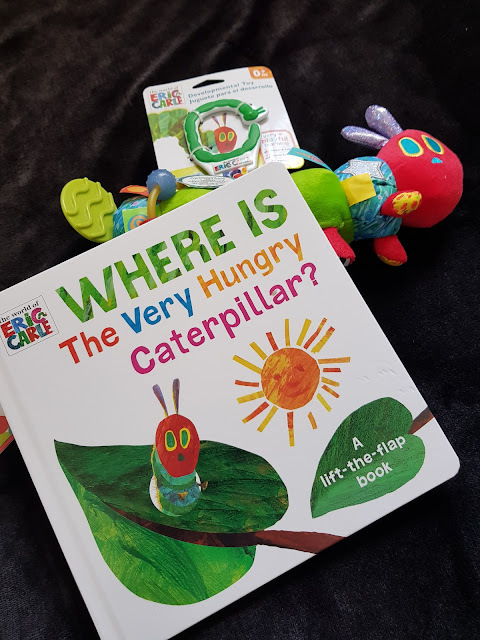 Can you actually believe that The Very Hungry Caterpillar was published then? The ultimate classic and ever popular book that has seen many a childhood, including my own and now my children. How completely wonderful and magical is it that you can share such a thing with your own children after years and years of enjoyment of the same story. Did you know there has been over 41 million copies sold and has been translated into more than 62 languages! 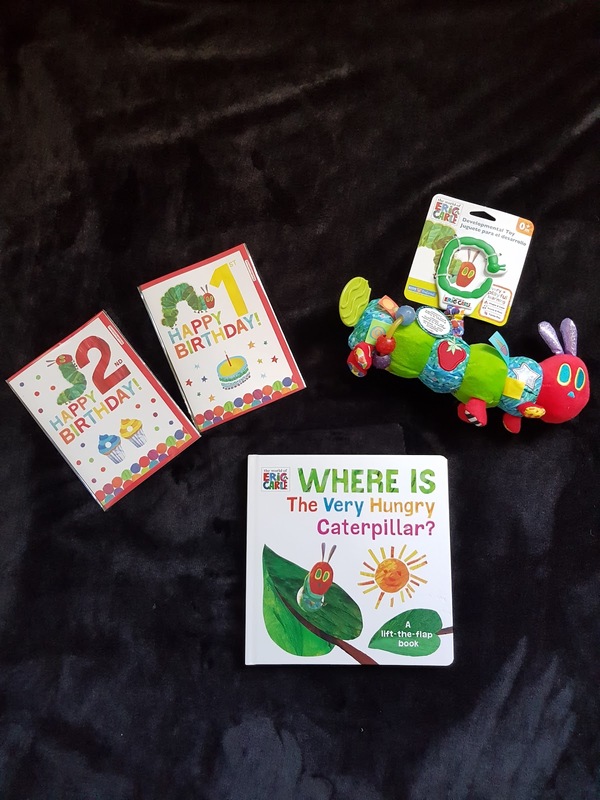 The Very Hungry Caterpillar, is without a doubt one of the most loved children's books. There is something about the bright, colourful and charming tale that just appeals. 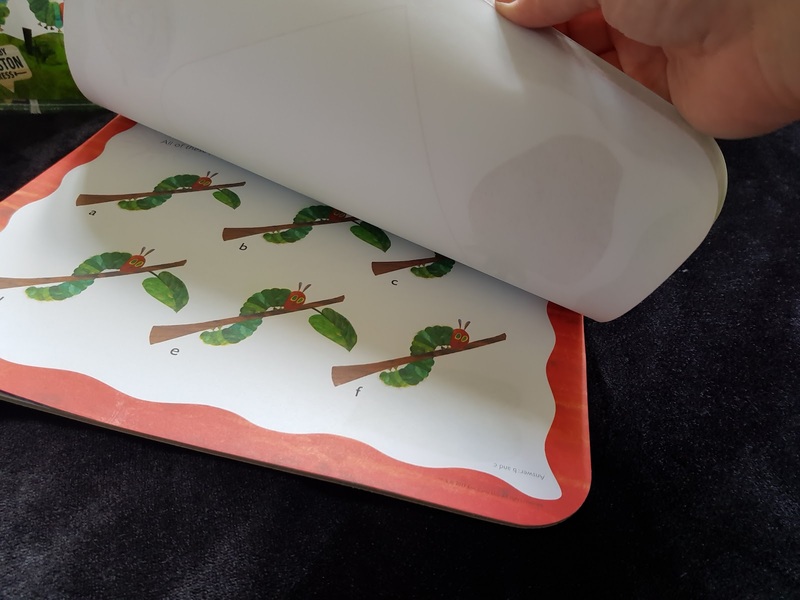 The beautifully illustrated books are just wonderful and there is a huge range of merchandise that can be bought in accompaniment to the books and we were extremely lucky to be sent a selection of items from the many items available. I'm going to talk you through what I was sent, it really was a lovely bundle of goodies. Where is the Very Hungry Caterpillar? A lift the flap book retailing for £7.99, this is a sturdy board book, fun to read and as expected the pictures are bright are beautiful, this appealed very much to my 2 year old daughter and she loved looking under the flaps. 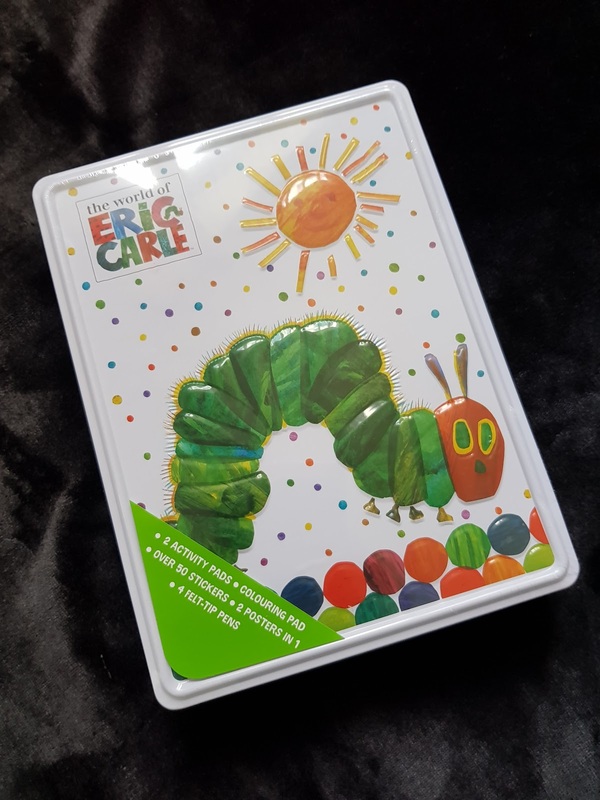 The developmental caterpillar toy (RRP £9.95) was great, aimed at babies so a little young for my two but I can see it being very popular with younger ones. 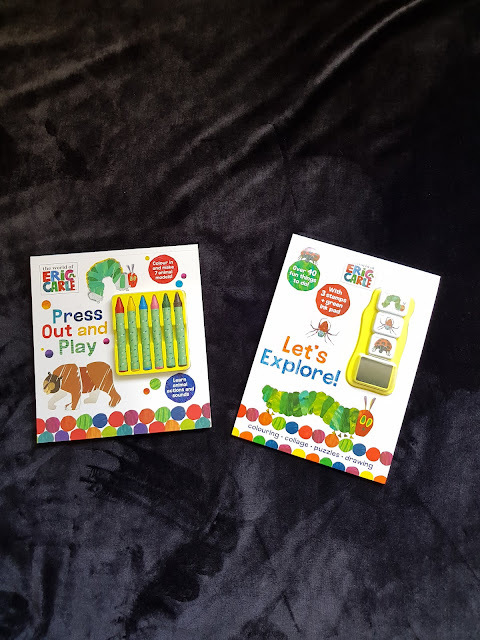 Press out and Play (RRP £4.99) is a lovely book to encourage the little ones to be crafty and creative. 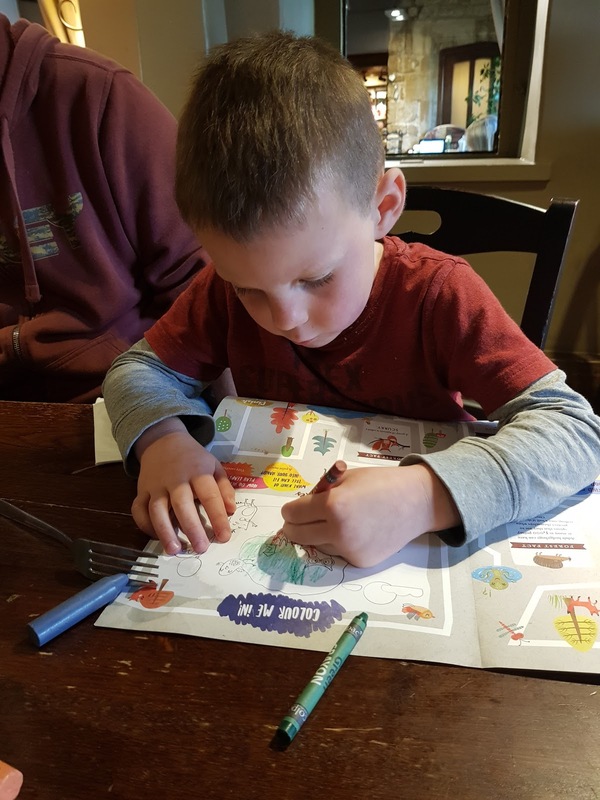 Featuring pop out card pieces that are to be coloured in (using the bright and bold crayons provided) and then slotted together to make the animals from the book. Mine both loved doing this, although did need a little help to slot the pieces together, a very reasonable price for this book considering crayons are included. Let's Explore! 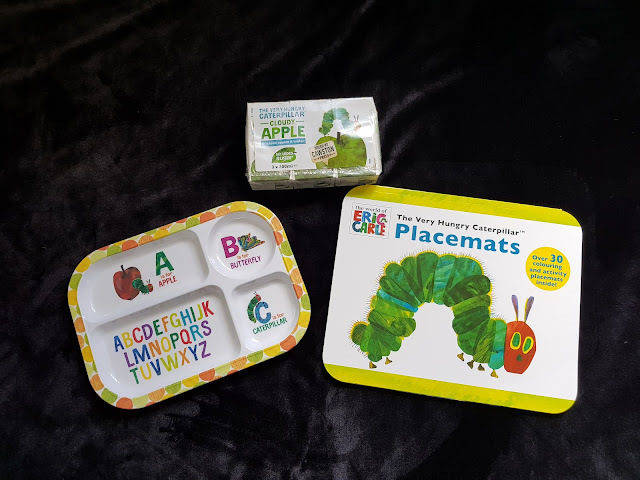 Another fun and interactive book, full of activities for the children to do with the added addition of the stamp pad (and my 2 looveeee to stamp) so this was a brilliant book, so much so we might have to buy a new one soon! This retails at less than £4.00, you can't argue with that price for the entertainment it brings. 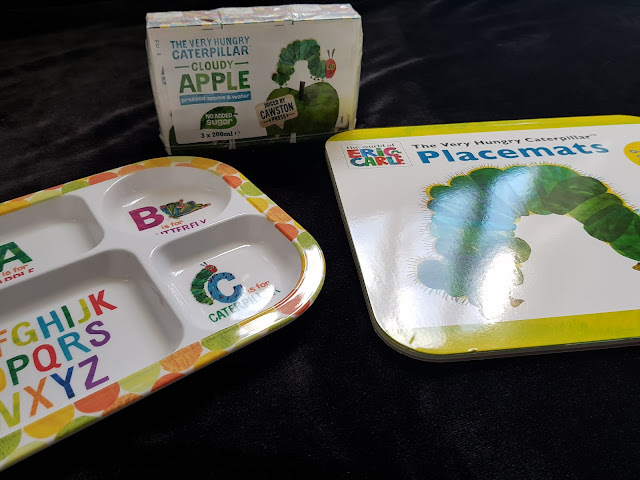 We then have these 3 items, a pack of apple juice (RRP £1.50 for 3 cartons), a plate and some doodly place mats. Elarna preferred the apple juice to Alfie, he's very much a 'purple juice' aka blackcurrant boy but Elarna loves anything vaguely fruity so these were very well received. It's worth mentioning that this is 50% pressed fruit mixed up with water making it less sweet for littleun's which is a bonus. My favourite items have to be the plate and the doodly placemats. The plate is a gorgeous design in robust melamine and is of course beautifully illustrated. Elarna uses this alot and I really like that it has sections so I can easily provide snacks on it and separate a variety of food items out. The doodle placemats (RRP £10.00) are, I think my favourite item. Packed full of activity and colouring sheets it is brilliant for entertaining my 2. I love that there are so many different activities featured in it, I have been taking a couple of sheets of it and popping them in my handbag just in case we end up eating out, and the picture of Alfie in the restaurant is him working his way through the restaurant's sheet before starting on one that I brought with me! I would highly recommend if you have restless kids when you eat out, it has bought us a bit of time while waiting for food to arrive. 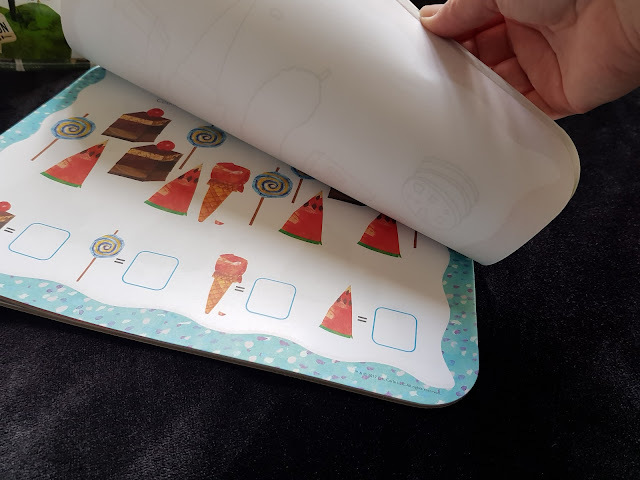 Also, it's worth saying it is fairly thick paper so perfect for over excited children and there are plenty of sheets within the pad so will last for a long time. Also in our bundle was a busy box packed full of stickers, felt tip pens, activity pads and a colouring book. A very busy box indeed! I've put this away for the children to enjoy on a rainy day, I'll also be using the tin after to store pens and pencils as it's the perfect size for that. A lovely item to be sent. Finally, 2 gorgeous calendar's. 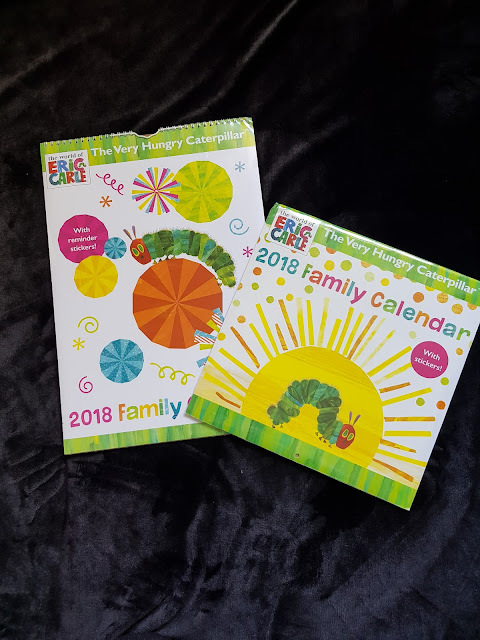 I can't tell you how handy these are.....I need to plan months in advance for some things so having a couple of 2018 calendar's has been very well received. I love them both, they are bright, bold with plenty of space to write in, I also love that you can put family members names across the top so you know exactly what's planned for each family member. These are retailing for around £10.00 each. Wonderful! So if you're a fan of The Very Hungry Caterpillar, and let's face it, who isn't. ...... then as you can see there is a plethora of merchandise to choose from, this is just a snapshot of products but there are lots more available. What takes your fancy out of this lovely selection? 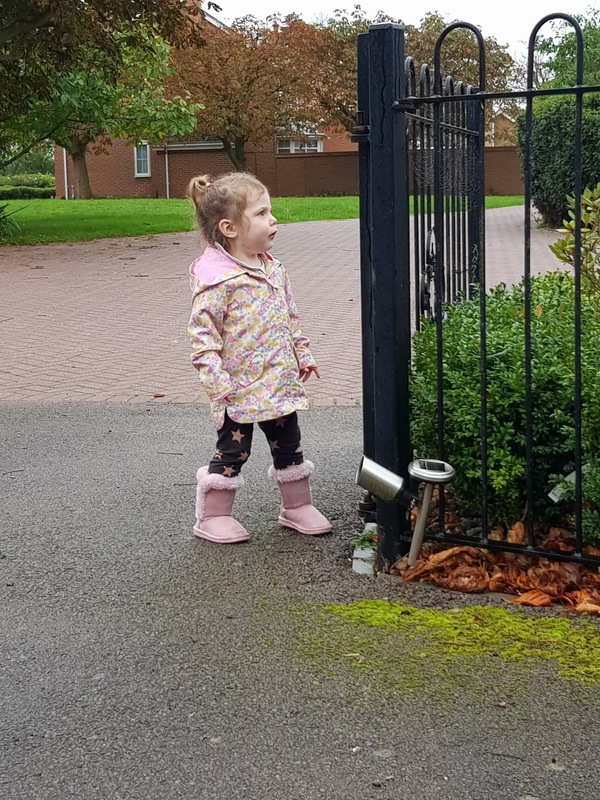 * Please note we were very kindly sent the items free of charge in exchange for an honest review, all thoughts and opinions are that of my own. Oh, I love this book! It's such a classic! And I really like all the fun extra items you can get to go along with it. Those place mats kids can doodle on are too cute.